Raymond A. Haddow, 73, of Blossburg, a native of Morris Run, died Wednesday, January 5, 1972, in the Blossburg State Hospital. He was admitted December 10 as a medical patient. Mr. Haddow, a retired miner, was born April 23, 1898, the son of Alex and Belle Boyd Haddow. Surviving are a son, Matthew, also of Blossburg; two daughters, Mrs. Edson Watkins of Covington RD, and Mrs. Eugene House, also of Blossburg; four grandchildren, and four great-grandchildren. The funeral was held on Saturday at Auld’s North Williamson Road. Burial was in Arbon Cemetery. The Rev. John Shypulfski, pastor of the Blossburg Baptist Church, officiated. WAYNE HADLEY. On the afternoon of April 3, 2001, the Lord called home the soul of His servant, long-time Canton resident Arthur Wayne Hadley, 85, while he resided at Bradford County Manor. Born in the Blossburg area August 26, 1915, he was the son of Philip and Florence (Smith) Hadley. He grew up in Hamilton Township, Tioga County, where he attended the schools of Morris Run and Blossburg, graduating from Blossburg High School. During the 1930s he was employed as a foundry worker with Ward Manufacturing Company. When the United States entered World War II he enlisted in the Army. He served in Italy with the 91st Infantry Division. Once while on reconnaissance maneuvers, he was pinned down by enemy gunfire. The situation appeared hopeless, but he prayed for God’s help and the Lord delivered him safety back to his unit. Mr. Hadley dedicated himself to serving the Lord in any way that he could from that day forward. After returning to civilian life he worked as a letter carrier out of the Roaring Branch Post Office. He married a local girl named Harriet Cole, who diedin the later 1950s. But in a few years another woman came to brighten his life, Kathleen McLean, who was then living in Elmira, had met him in the first grade and had known him throughout high school. As a teen he had attempted to start a relationship with Kathleen but she declined citing her plans for leaving the area and further her education. A mutual friend who had kept in touch with Kathleen over the years brought the two together and on June 27, 1964 they were united in marriage. In 1967 they moved to Canton. Mr. Hadley never forgot his promise to the Lord. He became an active member of the Canton United Methodist Church and its successor the Canton Ecumenical Parish. He served in numerous capacities and was always present when work needed to be done. Just like the Levities of Bible times, he tended to the daily tasks necessary to keep the House of the Lord running smoothly. He was active in several area organizations; a member of the Canton V.F.W. Post No. 714; the 91st Infantry Division Association, the Independent Order of Odd Fellows in Blossburg; Canton Lodge No. 415, Free and Accepted Masons, the Valley of Towanda Ancient Accepted Scottish Rite; Valley of Williamsport Consistory; the Royal Arch chapter No. 261 in Troy. Surviving are his wife, Kathleen, at home; brother and sister-in-law, Clyde and Lucille Hadley, Leisure City, FL; brother-in-law and sister-in-law, Charles and Clara Cole, Ogdensburg; sisters-in-law, Eleanor Hadley, Florida; Leowa Hadley, Elmira; as well as numerous nieces, nephews and cousins. He was preceded in death by his first wife, Harriet; his twin brother, James; brothers Glenn and Philip. Funeral services were conducted from the Canton Ecumenical Parish, 43 N. Center St., Canton, April 7, with Pastor Nancy Lee Goff, officiating. Those wishing to honor Mr. Hadley’s memory may do so through the Canton Ecumenical Parish Memorial Fund in care of the church. Professional services were entrusted to Morse and Kleese Funeral Home of Canton. –Canton Independent Sentinel. Fred W. Hannah, 79, of 224 Davis Street, Blossburg, died Friday, Feb. 2, 1973 at his home following an extended illness. He was born in the West Indies on Nov. 10, 1893. Mr. Hannah was a retired employee of the J.P. Ward Foundry. Surviving are his wife, Gertrude; two sons, Samuel, of Blossburg, and Gordon, of Portland, Ore., and one grandchild. The funeral was at 1:30 p.m. Sunday at Auld’s, North Williamson Road. Burial was in Arbon Cemetery. The Rev. Kermit Clickner, pastor of the Covington Baptist Church, officiated. Hart- Mrs Mertie Hart Besanceney, aged 73 years, of Richmond Township, died at 8 pm. Wednesday August 20,1941 while visiting at the home of a neighbor. She was born July 9 , 1868, at Hartsfield, daughter of John and Hannah Welty Hart, and was married in 1888 to Charles W. Besanceney. They lived in Landrus, Arnot and Blossburg, before moving to Mansfield in 1926. She was a member of the Methodist Church, Blossburg, And of the Good Pal Class of the Canoe Camp Church of Christ. She is survived by Four sons, Lt. Elvin Besanceney, of Ragley, La., Ellery of Mansfield, Theodore, of Camptown, and Walter , of Blossburg; a brother, E. M. Hart, of Wellsboro; a sister, Mrs Jerome Stroud, of Buttonwood, Pa; ten grandchildren and two great grandchildren. The funeral was held Sunday, Rev. Clifton Dawson, of the Canoe Camp church , officiated. Burial was made at Arbon Cemetery, Blossburg. Mrs. Helen H. Martin, 76, of Blossburg, died Wednesday, Sept. 26, 1973, in Carbondale Nursing Home, Carbondale, Lackawanna County, following a prolonged illness. She was born in Blossburg on July 20, 1897, a daughter of Dr. Edward and Tinney VanDusen Healy. Mrs. Martin was a member of St. Luke's Episcopal Church. She was a retired physical therapist. Mrs. Martin was a member of the Current Events Club. Surviving is a niece and a nephew. The funeral was held Saturday at Adams' Funeral Home, 303 Main Street. Burial was in Arbon Cemetery. The Rev. George E. Booth, her pastor, officiated. Kathryn Bowens, 75, of Balston Lake, NY, formerly of Blossburg, died Saturday, Aug. 29, 1987, at the home of her daughter, Mrs. Edna Jean LeVann, also of Balston Lake. She was born Sept. 23, 1911, in Upper Lehigh, the daughter of Walter and Martha Davis Heckler. She was a member of Siloa Lutheran Church, Morris Run, and its Ladies Aid Society. In 1983, Mrs. Bowens retired as cook at the Hamilton Club, Morris Run, after 30 years of service. Her husband, Robert Bowens, died in 1962. Surviving, in addition to her daughter, are a son, Robert Jr. of Blossburg; a brother, Walter Heckler of Freeland; four sisters, Mrs. Mary McLaughlin and Mrs. Thelma Potoskie, both of Freeland, Mrs. Lorraine Kaufman of Gordon, and Mrs. Edith Edmunds of Hazelton; four grandchildren, one great grandson, and several nieces, nephews and cousins. Funeral services were held at the Siloa Lutheran Church, Morris Run, Tuesday, Sept. 1. The Rev. George E. Doran, supply pastor of the church, officiated. Burial was made in Arbon Cemetery, Blossburg. Arrangements were by the Drinkwine Funeral Home, Blossburg. Memorial donations may be made to Siloa Lutheran Church, in care of Joan Hodder, RD#1, Box 299, Blossburg, 16912. HENSEL – Jospeh Hensel, Jr., 75, of Arnot, died Friday, Jan. 10, 1986, in Marion Community Hospital, Ocala, FL. Born Aug. 10, 1910, at New York City, he was a son of Joseph Sr. and Julia Schaeffer Hensel. He was a member of Arnot Presbyterian Church. Mr. Hensel retired as a captain of Linden, NJ, Police Department and later moved to Arnot, where he served as postmaster. He was chairman of the Arnot Citizens Committee. Mr. Hensel was a member of the Linden, NJ, Police Benevolent Society. Surviving are his wife, the former Elizabeth Lawson; a daughter, Mrs. Alene Pelkey, of Richardson, Texas; a son, Joseph F., of Venice, Calif.; a sister, Mrs. Joseph Gitzing of Linden, NJ; 4 grandchildren; one great-grandchild. The funeral will be at 2 PM Thursday at the Drinkwine Funeral Home, 120 North Williamson Road, Blossburg. Burial will be in Arbor Cemetery, Blossburg. The Rev. Paul Gordon, his pastor, will officiate. Friends may call at the funeral home from 2-4 and 7-9 PM Wednesday. HERON – Mr. Samuel HERON, aged nearly 52, died on March 14th at his home in Blossburg. He was born in that borough in 1855, and was the oldest son of the late James HERON. When about 16 years of age he entered the employ of the Fall Brook Coal Company, at Fall Brook, as clerk in the cashier’s office, and held the position for several years. Later he went to Antrim where he was employed as paymaster. After remaining there for a number of years he returned to Fall Brook in 1888, where he was cashier of the company’s office and store agent. In 1891 he removed to Blossburg and purchased the hardware business of Brown & Benter, which he conducted for about a year. In August, 1902, he purchased Fall Brook which comprised a large tract of hardwood timber and coal land, and since that time he had devoted his energies to his business interests there. Mr. HERON was a member of the Episcopal Church, was president of the School Board of Blossburg and a member of Bloss Lodge F. & A. M. He was one of the most prominent and substantial citizens of southeastern Tioga County and his friends were countless. HERON, Thomas Smith – Thomas Smith Heron died Jan. 24, at the family residence in Elmira, aged 64 years. He is survived by a widow, three daughters, Mrs. I.J. Deneres, of St. Paul; Mrs. L. W. Harvey, of Rochester, Pa.; Gladys Hereon, of Liberty; three step-daughters, Mrs. W. S. Rennie of St. Benedict, Pa.; Mrs. Clayton Stratton, of Fallen Timber, Pa.; Mrs. Edward Coggshall, of Elmira; two brothers, Morgan H. and James of Weilwood, Pa.; a sister, Mrs. John Sheehan, of Philadelphia. The remains were taken to Blossburg for burial. Wellsboro Agitator, 5 Feb 1919. Age 79, of Covington, PA, died Wednesday, May 7, 2008, at Soldiers & Sailors Memorial Hospital, Wellsboro, PA. Lewey was the husband of Meda (Whitebread) Hilfiger. He was born March 13, 1929 in Covington, PA, a son of Carlton and Gertrude (Soper) Hilfiger. Lewey was the original owner/operator of Hilfiger the Digger. He was a member of the Blossburg United Methodist Church where he served as Trustee and was chairman for 18 years. He was a member of the F&AM Lodge #147, Blossburg Blue Lodge, a member of the Williamsport Consistory, Loyal Order of the Moose, Odd Fellows, and a lifetime member of the Covington Grange. He enjoyed Seneca Lake, boating, was an avid bowler and was Santa Claus to many area kids and residents of Broad Acres. His favorite pastimes were mowing lawns, operating heavy equipment and tractors. Lewey is survived by his wife, Meda; children, William "Bill" (Corinne) Hilfiger of Covington, PA, Janet (Ralph "Dan") Watters of Wellsboro, PA, David (Janie) Hilfiger of Covington, PA, Thomas "Tom" (Mary) Hilfiger of Hornell, NY, Wendy (Les) Albor of Covington, PA, and Cindy (Ed) Gamble of Wellsboro, PA; ten grandchildren, Angela, Curtis, Louie, Chad, Derrick, Tony, Eric, Evan, Patrick, and Blake; three great-grandchildren, Ethan, Wyatt and Hanna; a brother and sister-in-law, George and Betty Hilfiger of Covington, PA; a sister, Joy Garrison of Wellsboro, PA; an uncle, Mark (Norma) Hilfiger of Tucson, AZ; a lifelong friend, Warren Tinney of Valdesta, GA; special nieces and nephews, and numerous special friends. He was preceded in death by two grandsons, Matthew Albor in 1991, and Edward George Gamble in 1993; a brother, John Hilfiger. Family and friends are invited to call on Friday, May 9, 2008, from 1:00 to 3:00 p.m. and 6:00 to 8:00 p.m. at the Jacquelyn A. Buckheit Funeral Chapel, Crematory & Monuments, PC, 637 S. Main St., Mansfield, PA, with a Masonic Service at 6:00 p.m., and Saturday, May 10, 2008, from 10:00 to 11:00 a.m. at the Blossburg United Methodist Church. Funeral services will be held at the church at 11 a.m. with the Rev. Jason Guillaume officiating. The family will provide the flowers. Burial will be in Arbon Cemetery, Blossburg, PA. Donations may be made in Lewey's name to the Blossburg United Methodist Church, P.O. Box 17, Blossburg, PA 16912. ROMAIN HODDER, 70, Blossburg, PA died November 27, 1995, at Broad Acres Nursing Home, Wellsboro. Mr. Hodder was born September 3, 1925 in Arnot, PA, a son of William and Maude Bellinger Hodder. He was a retired inspector for the former J.P. ward Manufacturing, Blossburg; was a World War II Army veteran; a recipient of a Purple Heart; was a member of the Blossburg VFW Supreme Sacrifice Post #8730; and the DAV. Surviving are his wife of 49 years, the former Marguerite Carlton; a son, Jerry Hodder, Arnot, PA; a daughter, Cheryl Hertel, Canton; four grandchildren; two great-grandchildren; one sister, Rosella Knapp, Wellsboro; several nieces and nephews. He was predeceased by a son, Wayne Thomas in January, 1962. Private funeral services will be held at the convenience of the family. Interment will be in Arbon Cemetery, Blossburg, PA. Arrangements were by the Wm. Zwicharowski Funeral Home, 314 Granger St., Blossburg. –Canton Independent Sentinel. HODDER –VIOLET LLOYD, 86, of Blossburg, PA passed away Monday, March 16, 2015 at The Green Home in Wellsboro. Born in Arnot, PA on July 10, 1928, Violet was one of 11 children of the late Clarence and Florence (Shink) Hodder. She was married to Paul Lloyd, Sr. for 57 years before his passing on March 13, 2004. Violet loved and lived for her family and their well being always came first. She was retired fromWard Manufacturing and had worked for numerous years at North Penn High School’s cafeteria. Surviving are her children, Margaret (Edward) Butler of Murray, KY, Mary (and the late Daniel P.) Signor of Blossburg and Paul “Barney” Lloyd (Kathy Barrett) of Tioga; five grandchildren, Paul (Lori) Butler of Owasso, OK, JoAnn (Kirk) Davis of Blossburg, Amy (Christopher) Cunningham of Mansfield, TX, Travis (Stacy) Lloyd of Ocean Pines, MD and Adrienne (Joe) Andrews of Middlebury Center; 11 great-grandchildren, Katherine, Alexandra and Matthew Butler; Jarrod and Katrina Davis; Hannah and Mason Cunningham; Kellen and Griffin Lloyd; Brynlee and Cecily Andrews; four siblings, Bernice (Harold) Clark of Wellsboro, Elsie Krause of Mainesburg, Robert (Joan) Hodder and Ronald Hodder all of Blossburg, numerous nieces, nephews and cousins. In addition to her husband Paul, Violet was predeceased by six siblings; Clarence Hodder, Gertrude Gruzlewski, Virginia Nowakowski, Gilbert Hodder, Shirley Chapman and Sylvia Lamonski. Per Violet’s wishes, there are no public services. Interment will be in Arbon Cemetery. Consider a memorial to Blossburg Fire and Ambulance Assoc., P.O. Box 2 Blossburg, PA or to a charity of one’s choice. Zwicharowski Funeral Home in Blossburg is in care of arrangements. Virginia "Dutchie" Nowa-kowski, 74, of Blossburg died Friday, Jan. 5, 2001. Born Feb. 11, 1926, in Arnot, she was a daughter of Clarence E. and Florence (Shink) Hodder Sr. She was married to the late Raymond Nowakowski. Her main interests in life were her family and her home. She also enjoyed caring for many children in the area. Preceding her in death were her husband, Raymond, on May 3, 1978; and two brothers and a sister, Gilbert and Clarence Hodder Jr. and Gertrude Gruzlewski. Surviving are three sons, Paul Nowakowski of Liberty, Joseph Nowakowski of Wellsboro and John Nowakowski of Blossburg; one daughter, Kathy Nowakowski of Blossburg; four grandchildren and eight great-grandchildren; two brothers, Robert Hodder and Ronald Hodder, both of Blossburg; five sisters, Violet Lloyd of Blossburg, Shirley Chapman of Montrose, Elsie Krause of Mainesburg, Bernice Clark of Wellsboro and Sylvia Canfield of Blossburg; several nieces, nephews and cousins. Calling hours were held Sunday, Jan. 7, at the Zwicharowski Funeral Home, Blossburg. Funeral services were held there Monday, Jan. 8, with the Rev. John Shypulefski officiating. Burial was made at Arbon Cemetery. The family will provide flowers and request that those who wish to may direct memorials to the Blossburg Fire and Ambulance at P.O. Box 2, Blossburg, Pa. 16912. HUGHES – Mrs. Catherine HUGHES, aged 91 years widow of Thomas HUGHES, of Blossburg, died Wednesday morning, July 13, at the family home after a long illness. A native of Wales, Mrs. HUGHES came to the United States while young when the family settled at Morris Run. HUGHES – Miss. Eva HUGHES died last Saturday afternoon at her home on North Williamson Road in Blossburg, following a long illness. CHARLES D. HUSTED, 88, Canton, diedat his home, July 27, 2001. Born in St. Benedict, PA (Cambria County) on April 11, 1913, he was the son of the late David and Mary Jane (Dormond) Husted. After the death of both his parents. Mr. Husted was raised by his paternal Uncle and Aunt, the late Archibald and Annie Husted formerly of Morris Run. As a young man, he attended the Morris Run and Blossburg High Schools graduating from both in 1931 and 1932 respectively. On November 6, 1943, he married the former Laura Evans at her parents’ home in North Union, Tioga County. Mrs. Husted was a loving wife and during the past few years of Charlie’s declining heath it was her devoted care that allowed him to live at home until his death. Mr. Husted honorably served his country in the US Army Air Corps during WWII, obtaining the rank of Technical Sergeant. In earlier years he was employed by the Morris Run Mining Company to 22 years. He later accepted a position as an electrician with the J.P. Ward Foundry in Blossburg and in 1978 retired following 25 years. He was an active member of the North Union Church and served as a deacon. He was a 50 year member of the Blossburg Masonic Lodge No. 350 F&AM, and a 50 year member of the North Union Grange No. 784. Mr. Husted served on the Canton Area School District Board of Education for 24 years where he was a past president and also a chairman of the Budget and Transportation Committees. He served as a former Secretary for the North Union Twp. Board of Supervisors for eight years and then assisted his wife Laura as Township Secretary for the next eight years, totaling 16 years of service. He was an outdoorsman; enjoyed spending time maintaining his home and helping his neighbors when ever needed. Surviving are his wife of 57 years, Laura; daughter and her special friend, Katharine Husted and Ronald McCarthy; sister, Ruth Seymour; two great nieces, Margo Royer and Patricia Trubic. He was predeceased by a sister, Caroline Etzweiler; three brothers-in-law, Joe Seymour, William Evans and Francis Etzweiler. The funeral service was held July 31 from the Pepper Funeral Home, Canton, with Rev. Duane Taylor, pastor of the North Union Church, officiating. Interment was in the Arbon Cemetery, Blossburg. Those who wish may direct memorials in Mr. Husted’s name to a charity of one’s choice. –Canton Independent Sentinel. HUTCHESON – Charles Hutcheson a lifelong resident of Blossburg died April 28, at his home on North Williamson Road. He had been in ill health for many years. He was born in Blossburg, the son of the late David HUTCHESON. HUTCHESON, Jennie – The remains of Mrs. Nathan C. GHRIST (GRIST) and infant daughter, who died at their home in Ambridge, Pa., on June 8th, were taken to Blossburg for burial. Mrs. Ghrist, before her marriage was Jennie HUTCHINSON (HUTCHESON), of Blossburg, a teacher in the public schools for a number of years. Besides her husband she is survived by four sister, Mrs. Fred BIELDFELD, of Avoca; Margaret HUTCHINSON, of Mansfield; Belle and Agnes HUTCHINSON of Blossburg; two brothers, Benjamin of Utica, and Ralph of Covington. Buried in Arbon Cemetery 1917 June 20th, Wellsboro Agitator. --Mrs. Isabella Pride, died last Sunday morning at her home in Blossburg, aged 73 years. Mrs. Pride had always resided in Blossburg and was very well known in that vicinity. She is survived by six sons and three daughters. The funeral was held yesterday afternoon at 2 o’clock at the house. Mrs. Isabelle Pryde, aged 73, widow of the late David Pryde, died at her home in Blossburg on June 11th. Six sons and three daughters survive. They are: David, of Blossburg; Robert, Alexander, John, James and William, of Yatesboro; Mrs. James Gilmore and Miss Elizabeth Pryde, of Blossburg, and Mrs. John Blair, of Arnot. Funeral services were held on Wednesday afternoon at 2 o’clock, Rev. E. Sutton Mace officiating. Burial in the Odd Fellows cemetery, Blossburg. HUTCHESON, Minnie – News reached the family of Mr. Alex. HUTCHESON on Saturday of the untimely death of their daughter Minnie, who was the wife of Mr. Jesse BIDDLE, of Kane, Pa. The announcement is a shock to the friends of this highly esteemed lady, and deep sympathy is expressed by all for the affected family. Two little children are left motherless. Announcement of the funeral has not yet been made. Richard Hutcheson, age 38, a teacher at Mansfield High School, was found dead on the floor of his office at 6:00 am Monday by John Horning, head caretaker at the school. Mr. Hutcheson was a member of the First United Methodist Church of Mansfield. 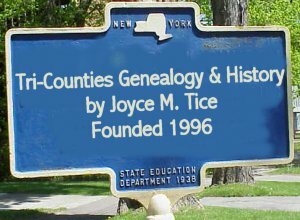 He was former teacher in the high schools at Union Springs, NY and Troy, PA. At the time of his death he was instructor in Commercial Education at Mansfield High School and initiated the Data Processing Computer Systems and Graphic Arts Center. He was also Year Book Sponsor. He was a veteran of the Korean War. Survived by three sisters, Mrs. Emory Hough (Betty), Big Flats, NY, Mrs. R.W. Brown (Audrey) North Springfield, Va., Mrs. Wendell Hitchcock (Doris) Mansfield; one brother, Donald Hutcheson of Wellsboro. Funeral services were held at the Shaw and Robena Funeral Home in Mansfield, Rev. Richard Brenneman officiating. Burial was in Arbon Cemetery, Blossburg.